As a professional waste water treatment decanter centrifuge manufacturer in China, GN solids control can produce decanter centrifuge for many different applications, including waste water treatment, mining tailings treatment, dredging slurry separation system, drilling fluids cleaning, drilling waste treatment system, oil sludge separation system, dewatering unit, etc.we shipped several unit of decanter centrifuge to Russia for waste water treatment, the model is GNLW363C-VFD. 1) Bowl material is duplex stainless steel 2304 by centrifugal casting, the anti-corrosion is better than SS316L. The screw material is made of SS304 by heat treatment up to 1000 degree, the screw opening allow for better performance and bigger treating capacity. The bowl collection box is made of stainless steel for corrosion resistance. 3) The centrifuge will be installed on top of the telescopic skid or on top of mud tank, by working together with dewatering unit. 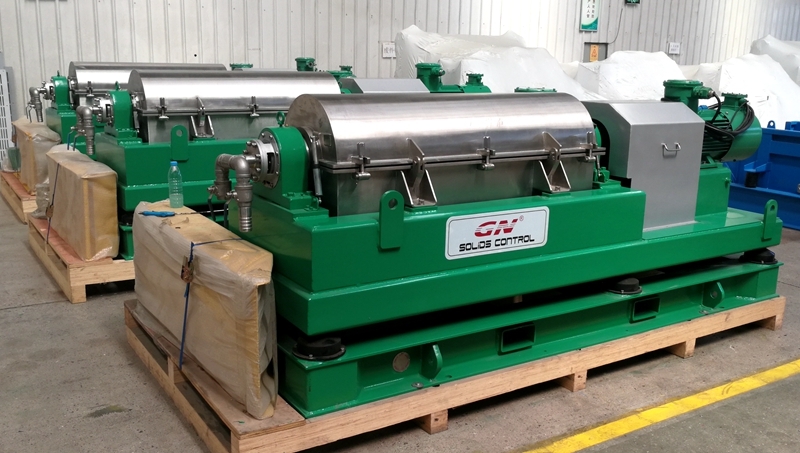 Except for GNLW363C-VFD, we also have 14 inch bowl decanter centrifuge for high speed up to 3900 rpm GNLW363CG and longer bowl length/ diameter ratio decanter centrifuge GNLW364C-VFD, it can be applied for high viscosity fluids separation. 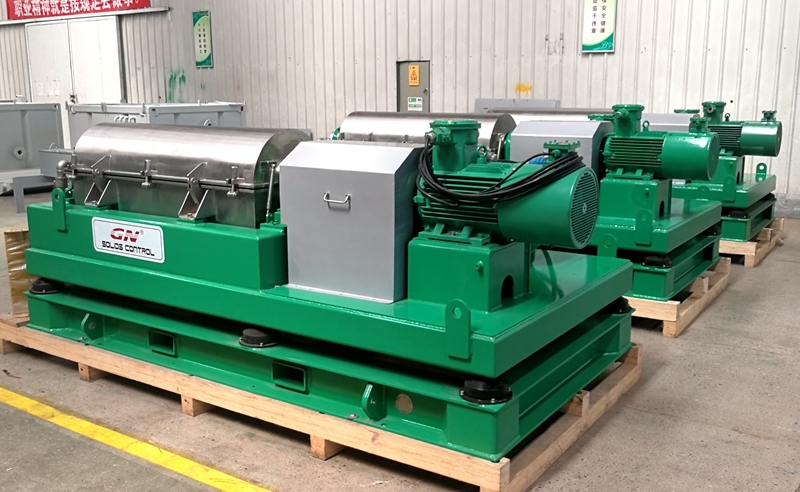 We will send a question list to get exact information of client’s requirement, then provide a customized decanter centrifuge solution for his project. We will have customized design for special fluids solids separation, for example, higher clearance water, drier separated solids. For the same, we have GNLW224 which is with better separation than GNLW223 for waste water treatment. GNLW454-VFD has better separation performance than GNLW453-VFD decanter centrifuge. GNLW554-VFD has better separation performance than GNLW553-VFD in waste water and dewatering fluids treatment. If you need a customized decanter centrifuge for industry waste water treatment or mining/ drilling waste treatment, pls contact with GN solids control.